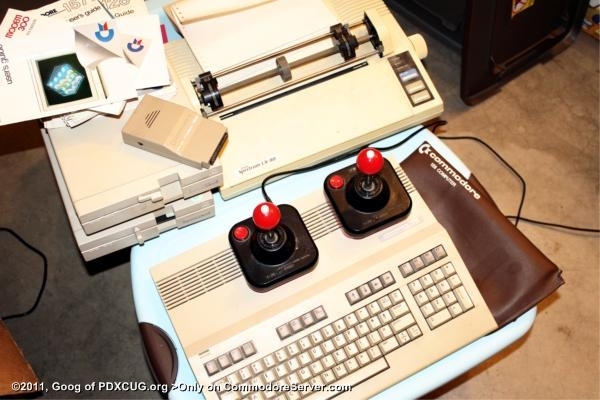 It came with a 1902A monitor, 2 1571 floppy disk drives, an Epson Spectrum LX-80 dot-matrix printer, a box of fresh, unopened printer ribbons, a Commodore Modem 300, a pair of Wico joysticks, manuals and dust covers. Everything is in excellent, 100% working condition. These are keepers!